Impulse art is a live performance by the Award Winning Multimedia Artist Daniel Pontet , where the rhythm of music inspires him to paint with his hands and feet. Daniel Pontet has exhibited his art work since 1975. He has participated in hundreds of international art shows, workshops and art performances. With his painting “The Green Miami” he took home first prize in the Miami division of the National 2004 Hispanic Mural Program sponsored by Heineken. 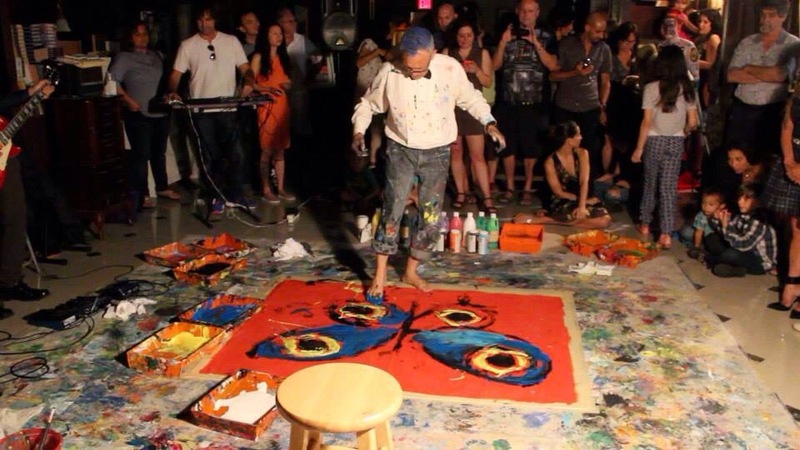 In 2010, Fusionarte Association named him one of the ‘Top 100 Latinos in Miami’ and he continues in revolutionizing the art world again with his Impulse Art Performance. I had the privilege to expirience this performance myself at Runas Restaurant in Hollywood Fl, and let me tell you it’s like nothing I have ever experienced before. The show is filled with energy, life and groovy vibes and it is simply astonishing what Daniel is able to create using his feet , what amazes me the most is that the musicians and Daniel do not rehearse prior to the event the musicians create the sounds and rythm on the spot and Daniel lets the music inspire him and then he beginnings to create his magic. The photo above is the final product of The Impulse Art Perfromance at Runas Restaurant. Daniel painted this in under 30 min ! 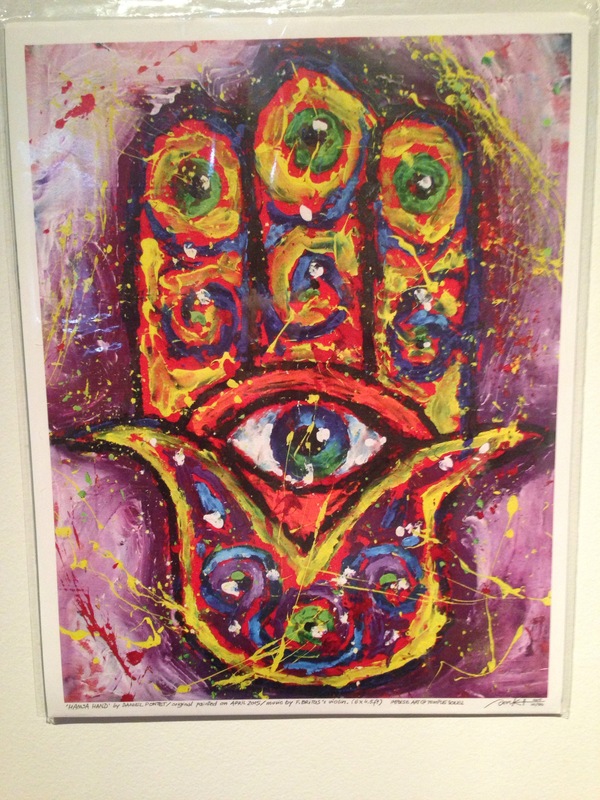 The painting above was painted by Daniel on May 24th at Larry Joe Miller studio also located in The heart of Hollywood Fl. This was actually my first time seeing Daniel in action prior to the Impulse Art Performance at Runas Resturant. 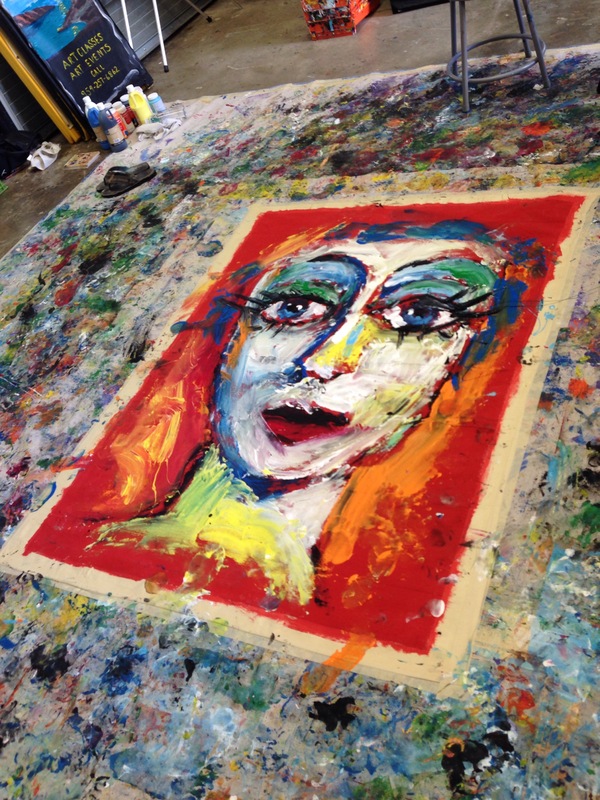 Next time that you are in the Hollywood area make sure to check out one of Daniel Pontet’s Art performance. Reblogged this on Angelica Prendez.